Cluster of Dead Nettle plants. Root to tip of a Dead Nettle plant. 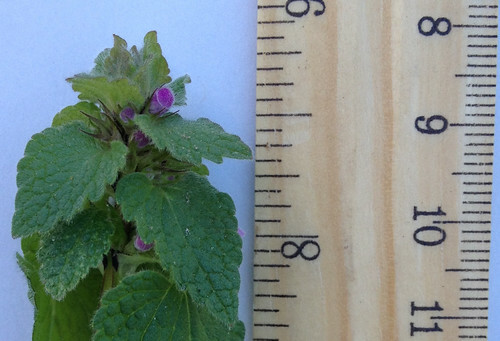 Close-up of Dead Nettle head before flowers are fully formed. Dead Nettle are in the mint family and so have the square hollow stems and alternating opposed leaves of this family. 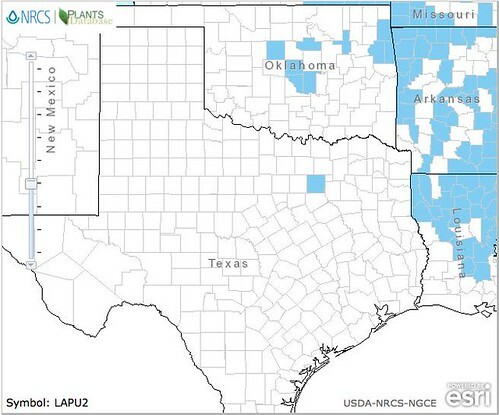 I've only found one colony of Dead Nettles in Texas and as the USDA map indicates, it was up in East Texas. 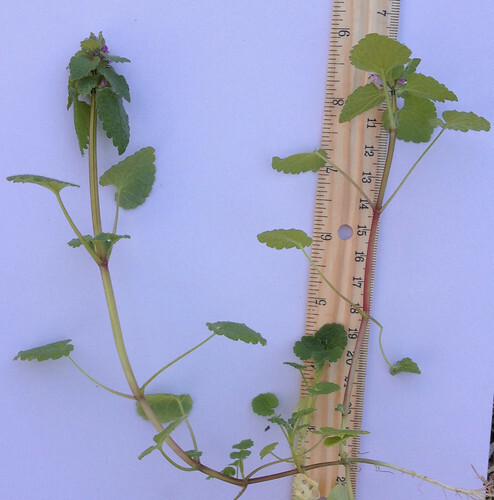 Dead Nettles look very similar to the very common Henbit (Lamium amplexicaule) but Dead Nettle leaves are pointed triangular whereas Henbit leaves are "kidney" shaped at first then mature to very rounded triangles. 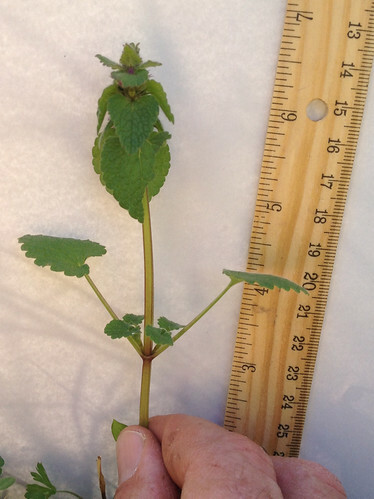 Dead Nettles leaves have a somewhat purple shade whereas Henbit leaves are green. Dead Nettle leaves are somewhat more hairy than Henbit leaves, especially along the edges. Both have purple, tubular flower appearing in clusters at the top of the plant. 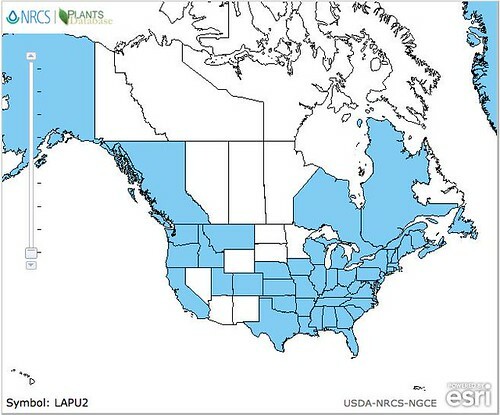 Dead Nettles are usually found in fields, yards, and disturbed areas such as roadsides and abandoned lots. 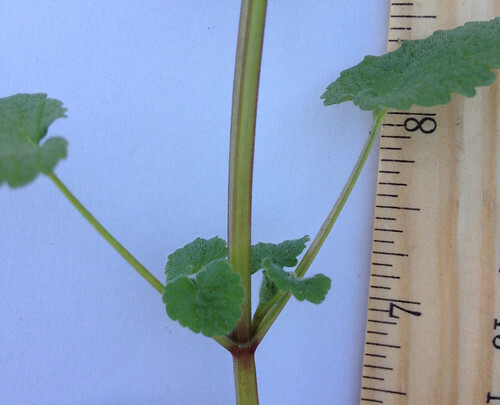 In East Texas look for them at the same time Henbit is appearing, usually late winter/early spring. They seem to prefer sunny areas but can also grow in shade. 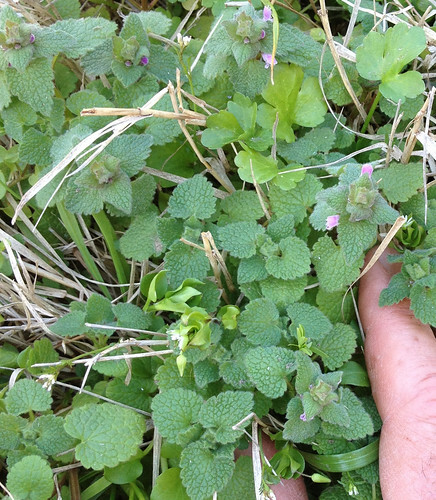 The leaves of Dead Nettle are added raw to salads but can be cooked, too. They have a mild, almost bland flavor. Some people add them to springtime smoothies along with Chickweed and other spring weeds. I haven't tried it yet but I'd bet they ferment well. Dead Nettle seeds supposedly have some strong antioxidants but they are small and it'd take a lot of plants to produce enough seeds to do any good. You're better off spreading the seeds around to increase the population of this funky, purplish plant.